Two new Ebola vaccine trials began on Wednesday with volunteers in Britain, France and Senegal getting “prime-boost” immunisations developed by Bavarian Nordic, GlaxoSmithKline and Johnson & Johnson. The mid-stage, or Phase II, trials are designed primarily to test the vaccines’ safety, but will also assess whether they provoke an immune response against the deadly virus. The development of the prime-boost and other vaccines was accelerated in response to vast outbreaks of Ebola in West Africa, where at least 11,200 people have died so far in Guinea, Sierra Leone and Liberia. “The current Ebola outbreak has reinforced that speed of response is crucial,” said Egeruan Babatunde Imoukhuede, who is coordinating one of the trials in Senegal. 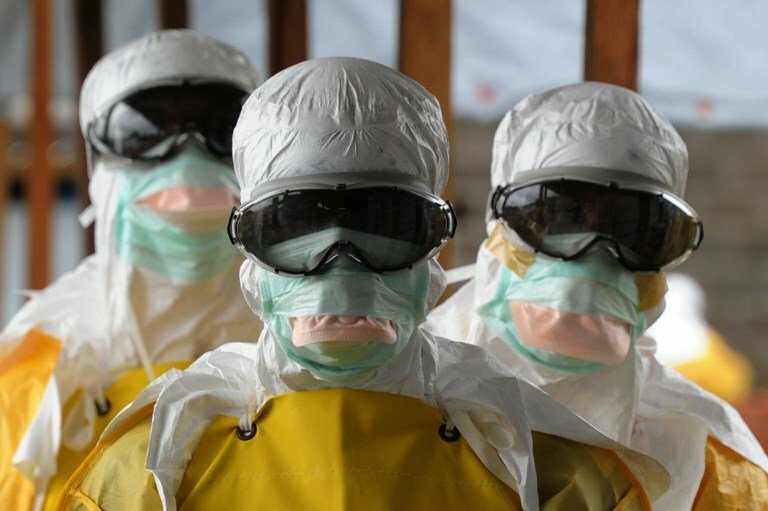 Data from the World Health Organisation show there were 30 confirmed cases of Ebola in West Africa in the week to July 5. In Liberia, which was declared Ebola-free in May, a sixth new case was confirmed on Tuesday in what health officials fear is a new wave of the outbreak. While the number of Ebola cases has dropped sharply in recent months, researchers said the flare-up in Liberia underlines the need to push ahead with developing potential vaccines that may help control this and future outbreaks. The trial of the Bavarian Nordic and J&J prime-boost combination initially aims to recruit more than 600 healthy adult volunteers in Britain and France. Bavarian said it hoped to launch another phase of this trial in Africa later this year involving 1,200 volunteers, but other large clinical trials have recently been thwarted by the drop in case numbers. Previously planned trials of GSK, Merck and J&J shots in West Africa have been struggling to recruit volunteers with enough exposure to Ebola to prove whether their vaccines are doing the job and preventing infection. The second trial will be conducted in Senegal and uses two vaccines tested first in people at Oxford University’s Jenner Institute and being developed in a partnership with GSK. The first, based on a chimpanzee adenovirus, is designed to stimulate, or prime, an initial immune response, while the second is designed to boost that response. Each vaccine is based on genetically modifying safe viruses to carry just one part of the Ebola virus that will stimulate the body’s immune system. Researchers stressed that none of the shots contains any live Ebola virus. The Senegalese government banned the dissemination of Wednesday’s editions of the satirical French weekly Charlie Hebdo and the French daily Liberation, both of which put a cartoon of the Prophet Muhammad on their front pages. “It is forbidden to distribute and disseminate, by any means, today’s editions of the French magazine ‘Charlie Hebdo’ and the French newspaper ‘Liberation’ throughout the national territory,” the Senegalese news agency APS reported, citing a statement from the interior ministry. No Senegalese newspapers or news sites have reprinted the controversial Charlie Hebdo cover, the magazine’s first edition since two Islamist gunmen attacked its Paris offices last week, killing 12 people. The Charlie Hebdo weekly has repeatedly been the target of threats for its cartoons mocking Muhammad and Wednesday’s edition drew fresh anger from many in the Islamic world, including in Turkey where a court blocked websites from reproducing the latest cartoon. But the magazine sold out in record time in France and will have a print run of five million copies this week, instead of the usual 60 000. 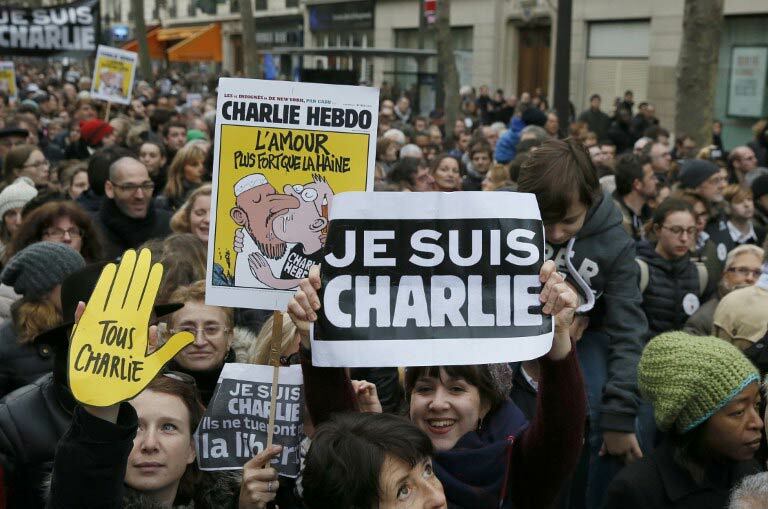 The image shows the prophet shedding a tear and holding a sign with the slogan “Je suis Charlie” (“I am Charlie”), under the headline “All is forgiven”. The weekly is not widely available in Senegal but can be found in some newsagents. Censorship of the press is rare in the mainly-Muslim country but several local religious leaders have spoken out against the cartoon. Senegal’s President Macky Sall took part in a massive unity rally in Paris on Sunday that saw millions pour onto the streets to condemn terrorism. A new law mandating across-the-board rent reductions in Senegal is a double-blessing for real estate agent Abdul Aziz Sylla. Along with paying 14% less each month for his family’s three-bedroom Dakar apartment, the 36-year-old has been busy brokering deals on behalf of clients flush with newfound purchasing power – and cashing in on a flurry of commissions. Two years after successfully running on a campaign to lower living costs, President Macky Sall has received wide praise for the law from residents frustrated with the city’s pricey housing stock. 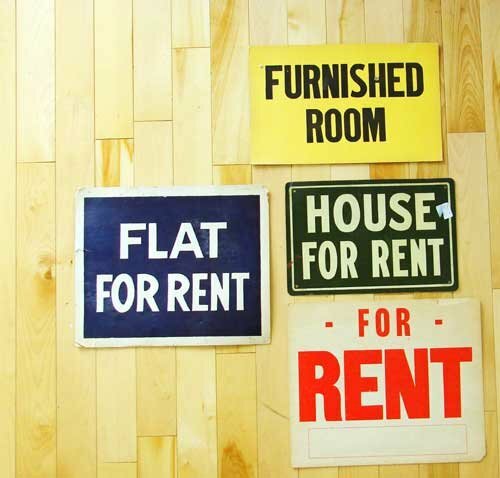 Critics of the rent reduction, however, note that it can distort the market, potentially discouraging the construction of new property or the leasing of existing housing. There are several new housing units currently being constructed, indicating that builders have not yet been discouraged by the reduction, which has been debated for years. Enforcement will be tricky, and could determine whether the measure becomes a model for other regional governments, said Robert Tashima, Africa regional editor for Oxford Business Group. “It goes without saying that the key to this legislation is enforcement, which has long been an Achilles’ heel for other rent control and tenancy rights ordinances elsewhere in Africa,” Tashima said. Landlords will be able to increase rents once current leaseholders leave. Also a black market could emerge where sub-letters pay higher rents. While rents have climbed throughout West Africa over the past 20 years, Dakar’s increase has been especially dramatic as Senegal cemented its reputation as the most stable country in an unstable region, attracting organisations seeking to move their regional staff from bases in politically turbulent Côte d’Ivoire. High-end buyers from countries like Nigeria have also increasingly seen Dakar, located on a peninsula that is Africa’s westernmost point, as “a reliable market” for second homes, Tashima said. Today, rental housing in Dakar’s downtown Plateau district can be double that found in the central business district of Abidjan, Côte d’Ivoire’s commercial capital, and often rivals prices seen in large European cities, he said. The situation got so bad that in 2010 Senegal’s National Assembly launched an investigation. The new law, enacted last month, is scaled to benefit low-income renters most: Those paying less than 150 000 West African francs (roughly $310) in rent each month receive reductions of 29%. For apartments with rents between 150 000 and 500 000 francs, the reduction is 14%, and for units priced at more than 500 000 francs the reduction is 4%. Just over half of Dakar’s roughly 1-million residents are renters, according to Senegal’s national statistics agency. The law does not apply to business property. Dakar resident Cherif Gassama said the move is politically shrewd, as living costs are a top concern for Senegalese. After getting married last June, the 32-year-old spent six months scouring the city for a new apartment, finally hitting on a fourth-floor walk-up priced three times higher than the unit he leased when he moved to Dakar a decade ago. Under the new law, his monthly rent decreased from around $300 to about $255, freeing up money he expects to spend on gasoline and staple foods like rice. “To be frank, this is the first thing that Macky Sall has done to help us,” said Gassama, who described himself as a long-time Sall supporter. But like other Dakar residents, she urged Sall to consider similar measures to lower food and energy costs. “He can’t just do this. He needs to do more. This is just a first step for him,” she said. Some landlords have openly said they will defy the law, among them Diarra Sarr, who manages property in the HLM neighborhood. Hundreds of young Africans began a five-day conference in the Senegalese capital Dakar on Monday focusing on the “time bomb” of youth unemployment across the continent. Africa is one of the world’s youngest and fastest-growing regions but growing joblessness has become a major threat to prosperity, according to the African Development Bank (AfDB). Alioune Gueye, head of the Network of Youth Leaders of Africa and the Diaspora, which organised the event, said “nothing is more tragic” than seeing parents educate their children only to watch them fail to find jobs. “This is a time bomb that must be defused,” Gueye said as he opened the fourth Pan-African Youth Leadership Summit, co-organised by the United Nations, which this year will tackle youth unemployment. The UN estimates that 20% of Africans – around 200 million people – are aged 15 to 24, with the youth population expected to double by 2045. Africa’s economy is projected to grow by 5.3% in 2014, according to the 2013 African Economic Outlook, an annual report produced by the AfDB, the UN Development Programme and other groups. But growth is not translating into jobs for the young people who make up 60% of the unemployed or underemployed in Africa, the report says. Recent estimates by the AfDB based on household surveys across sub-Saharan Africa and data from the International Labour Organisation find that youth unemployment stands around 34%. “Unemployed young people are a threat to the stability of our countries,” Gueye said. Senegalese Prime Minister Aminata Toure told the conference the global financial crisis had led to numerous problems related to youth unemployment. 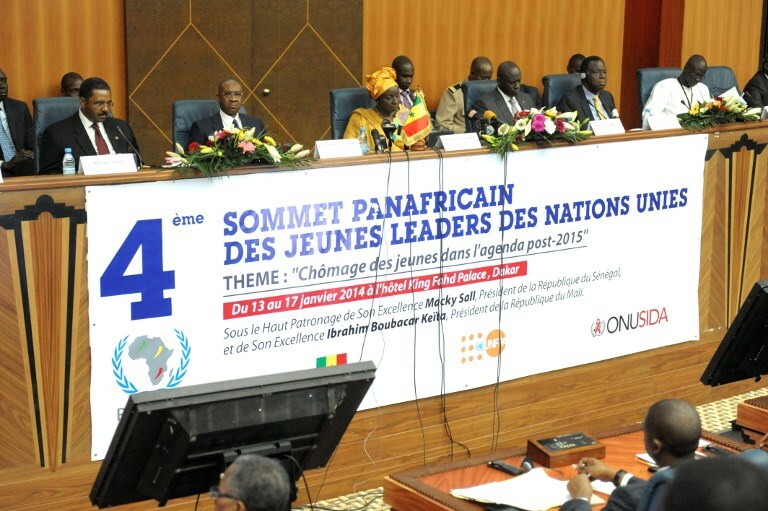 “The time has come to tackle this breakdown, to make young people the future of the continent. That must be the top priority,” she said. Djité Sekou (32) smokes as he passes his nights guarding one of the many high-rise apartment buildings in Dakar, Senegal. It has been eight years since his first cigarette – a Monte Carlo from Morocco – and when money is available he goes through 20 to 30 per day. It is an addiction that can cost him up to a quarter of his monthly income. Like most smokers in Senegal, he rarely buys a full packet, preferring to purchase cigarettes individually – a sales strategy tobacco companies employ to ensure that even those with limited means are able to afford their daily nicotine. Sekou is one of a growing number of smokers across Africa. While reliable, up-to-date figures are unavailable, the 2007 Global Youth Tobacco Survey estimated that up to 20% of Senegalese boys and 10% of girls aged 13 to 15 used tobacco products – a number believed to be much higher today. In Senegal, there are almost no restrictions on smoking in public places, and warning labels on packets are small. The exception is the holy city of Touba, where smoking has been banned for religious reasons since 1980 (15 years before the US State of California enacted its ban on smoking in enclosed workplaces). Yet with Senegal’s Parliament due to vote on new anti-smoking legislation, the rest of the country may soon follow suit. 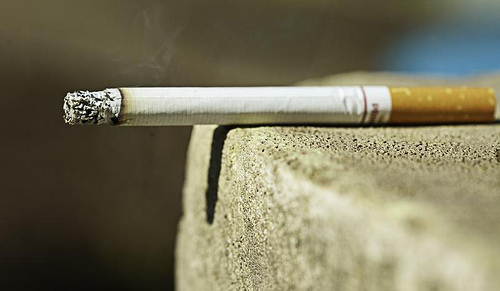 If passed, the law would ban all tobacco advertising, restrict smoking in public places, and demand health warnings that cover 30 percent of all cigarette packaging. With the largest proportion of young non-smokers and the weakest tobacco controls of any other continent, according to the World Health Organisation (WHO), Africa is a lucrative market for cigarette marketers. Just five African countries have comprehensively banned smoking in public places, according to WHO, while nine – Chad, Eritrea, Ghana, Guinea, Kenya, Madagascar, Mauritius, Niger and Togo – ban all tobacco advertising. Only four African countries – Madagascar, Mauritius, Niger and the Seychelles – meet WHO recommendations for health warnings on packaging. Yet even where laws do exist, enforcement is a major problem. Senegal’s Ministry of Health has banned smoking in all health centres, but according to the government’s own report to WHO, this has had “no practical impact in reality”. WHO estimates that, globally, tobacco kills six million people per year, a figure that, without action, could rise to eight million by 2030, with 80% of deaths occurring in low- and middle-income countries. Many health advocates believe the tide is turning, however, with Kenya, Mauritius, Seychelles and South Africa all having introduced tighter tobacco control laws in recent years. Ntiabang believes these are symptoms of “a changing trend” – but one under threat by the tobacco industry. The 2013 WHO global report on tobacco use accuses the industry of trying to influence public health policy, exaggerating its economic importance, manipulating public opinion, fabricating support from “front groups”, undermining proven science and intimidating governments with litigation. According to Article 5.3 of the WHO’s Framework Convention on Tobacco Control, tobacco companies are not supposed to be involved in shaping health policy. But the official said many countries have been swayed by “information given by the industry claiming that they are critical to the economy, and yet the reality is they are just profiteers and are not contributing that much to the economy”. In Senegal, industry officials lobbied to soften the total ban on advertising to allow communications at the point of sale, but the government has not ceded. They also pressed to ensure health warnings need not be in picture form, said Ndao, which has been more successful. But the [Senegalese] authorities are trying to resist industry pressure and are “aligned strongly with the WHO Convention” he told IRIN. A spokesperson for Philip Morris, which controls over 40% of the tobacco market in Senegal and owns a cigarette factory in Dakar, confirmed that the company has “”proactively and transparently” been communicating its opinions to government, “like any other industry”. While the company “welcomes the proposal for the implementation of a tobacco-control law in Senegal”, it continues to seek amendments to “a few elements” including “the lack of a transition period, the ban on trade incentives for wholesalers and retailers, and the total ban on advertising”. Ahmadou Dem, surgical oncologist at Joliot Curie Cancer Institute at the Dantec hospital in Dakar, is already seeing the consequences of smoking. He has noted an increase in cancers of the lung, larynx, pharynx, bladder and pancreas. Dem adds that while facilities to treat cancer do exist – offering surgery, radiation therapy and chemo therapy – they remain “largely inaccessible for the majority of patients, who are poor”. Any efforts to reduce smoking rates in Senegal must include an “ongoing anti-smoking campaign at schools, in businesses, and in the media,” he told IRIN. Ndao recognises that, despite the huge public health improvements the law will bring, there is a lot more work to do. Unless amended by members of the National Assembly, smoking areas will still be permitted in restaurants, bars and hotels, and pictures warnings – considered essential in a country where half of the adult population is illiterate – will be voluntary. Ndao believes parliamentarians will strengthen these areas of the law before it passes. And the law will not undertake what is commonly regarded as the most effective way of reducing smoking – raising the price of cigarettes. Such a measure has to be dealt with separately through the tax system. At just $0.80 a packet for an economy brand, and $1.20 for a premium brand, cigarette prices in Senegal are almost 10 times cheaper than in the UK and among the cheapest in the world. Senegal has chosen not to follow the Economic Community Of West African States guidelines allowing countries to tax cigarettes up to 150% , instead abiding by the West Africa Economic and Monetary Union rules limiting taxes to just 45%. According to WHO, a 10% price increase for tobacco products reduces consumption by 8% in low- and middle-income countries. Two years ago, Phillip Morris created a national scandal in Senegal by reducing the price of its Marlboros by one-third. Black market cigarettes from neighbouring countries such as Gambia and Guinea-Bissau also push prices down. Sekou believes that both a stronger law and higher taxes are “necessary”, especially for smokers like himself. “Senegal has the right to do it. Everyone wants to quit. The more they smoke, the less they eat,” he said. “For me, someone who struggles to get 1 000 CFA [$2.00] per day, if the price went up – and my wife is next to me, my son is next to me – I wouldn’t do it,” he continued. “Even today paying $1.20 [for a packet] is a problem.